Pitching prospect Barrett Astin is representing the Cincinnati Reds in the Fall Star Game and the Reds need to decide if he’s worth that honor. Barrett Astin has had a good season in the Arizona Fall League for the Cincinnati Reds. He has pitched 8.2 innings over six games, while allowing only two runs. He only has five strikeouts, which is even worse when you consider he has allowed seven hits and given up four walks. Astin might be getting this opportunity due to his impressive regular season at Pensacola. He was a swingman, starting eleven games over 37 appearances. He was 9-3, but was never an end of game reliever. Astin came over from the Milwaukee Brewers as part of the Jonathan Broxton deal. He was drafted in the third round from the University of Arkansas. For most of his minor league career he has bounced back and forth between being a starter and a reliever. This may be make or break for Astin. Having been drafted in 2013, he is eligible for the Rule 5 draft. That means the Reds must either put him on their 40-man roster or expose him to being drafted by other teams. Is Astin worth protecting or is it worth the risk? The next few games could determine his career. 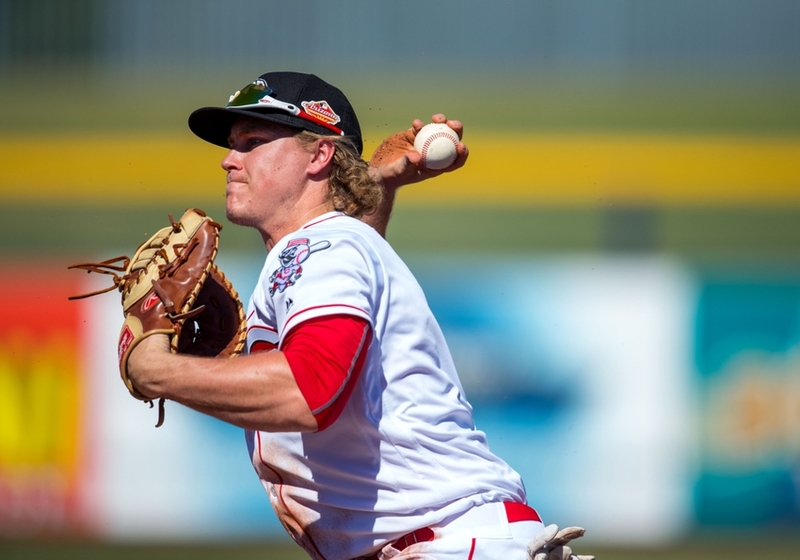 Astin is not the best Reds’ prospect on the Peoria Javelinas, so the Reds have plenty to think about over the next few weeks. Brandon Dixon has also had an impressive AFL. He is a second baseman playing a ton of first base and working on his OBP. His power is sufficient to project to 15+ home runs per season, if he can make the big leagues. Chad Wallach is also doing well. He’s a catcher that is also playing first in Peoria. 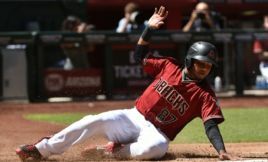 His offensive specialty is getting on base and he’s doing a fine job of that in Arizona. Several of the players in the Arizona Fall League are eligible for the Rule 5 draft. That means that the Cincinnati Reds are going have to decide who has a future and who other teams aren’t interesting in taking a chance on in 2017. The Reds could have some tough decisions to make. Besides Astin, Dixon is also eligible for the Rule 5 draft. Likewise is Wallach. So is reliever Nick Routt. Want your voice heard? Join the Blog Red Machine team! There is the rub for the Reds. They need to figure out who other teams want before December. The good news is that other teams usually don’t take players from bad teams. The worse news is that the Reds can’t afford to lose any talent.